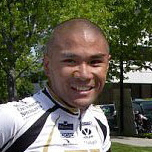 Vance graduated from The United States Military Academy at West Point and served 9 years in the U.S. Army. The bicycle is an inspirational part of Vance’s life. He believes that mountain biking brings families together, and gives high school students self confidence, strength and unprecedented opportunities in life. Assisted by his wife, Brandi, they are establishing a strong scholarship and outreach program for the Texas League, so that almost any high school student in Texas can have the opportunity to be a part of the League. Lauren’s love of bicycles started early on in her life as an 8 year old wheelie popping, bigwheel skidding, log jumper. She spent much of her childhood summers trying to out perform her siblings in the art of tricycle and bigwheel log jumping – and on steep, fast descents in the neighborhood streets. After a few broken bones, she decided to move onto safer sports and spent her high school and college years competing in long distance running, swimming and soccer. It wasn’t until after she finished college, married a cyclist and had a couple of kids that she started racing and riding bikes again. Lauren comes to the league after a 16 year career stint in ecommerce, a few years at local cycling magazine, Cyclocross Magazine – and most recently a year at local cargo bike company, Xtracycle, directing fulfillment operations. Mike graduated from Carnegie Mellon University in Pittsburgh, PA (go Steelers!) with a B.S. in Decision Science in December ’07. Originally, he began college as a cello performance major, but quickly decided that wasn’t his calling. After he transferred majors, he needed something else to occupy his free time, so bike racing it was. By his senior year, he was elected president of the Carnegie Mellon Cycling Club. That year they experienced tremendous growth as well as won the mountain bike conference title. Currently, he races for the Wells Fargo Cycling Team on the road and works for Trips for Kids in San Rafael, CA leading at-risk youth on mountain bike rides all over Marin County.